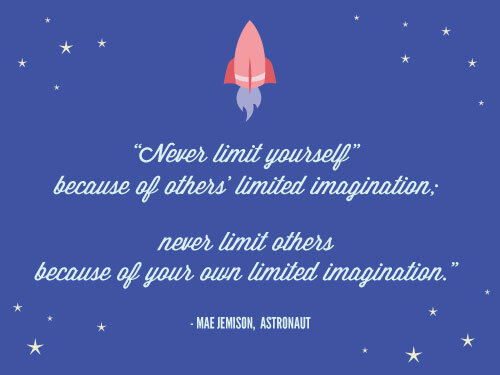 In honor of Sally Ride: Never limit yourself! 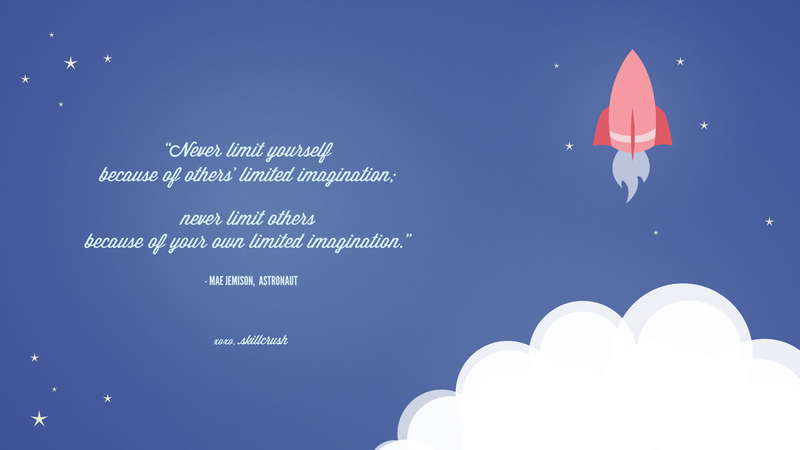 Never limit yourself because of others’ limited imagination. Today we celebrate two people: Astronaut Sally Ride and you. Yesterday we were saddened to learn that Sally Ride had died after a long fight with cancer. In 1983, Sally Ride broke a major barrier in becoming the first American woman to go into orbit. Nine years later, Mae Jemison followed in her footsteps not only as a woman astronaut but as the first African American woman to go into space. I will never limit myself because of others’ limited imagination; I will never limit others because of my own limited imagination.